This last week was spent getting ready for Little C’s second year at playschool (which came with a barrage of meetings and shopping trips), setting up our September calendar (it’s PACKED) and sleeping. There are so, so many projects I want and need to do (like finishing off our house), but all my body wants to do is sleep and grow a baby. Usually, I succumb to the fatigue and sneak a nap in when Baby A goes down for hers and C is content to watch a movie. Sleep has trumped DIY’s this week! Something I did manage to finish this week was this cute floor pouf for our church’s youth room re-design that I’m helping with. I stuffed it with ripped up pieces the old couch cushions that were in the youth room (to save money and recycle). The outcome was kind of lumpy, but still comfortable. In the future with more time, I’d add a layer of fiberfill batting around the foam pieces to smooth the pouf out. 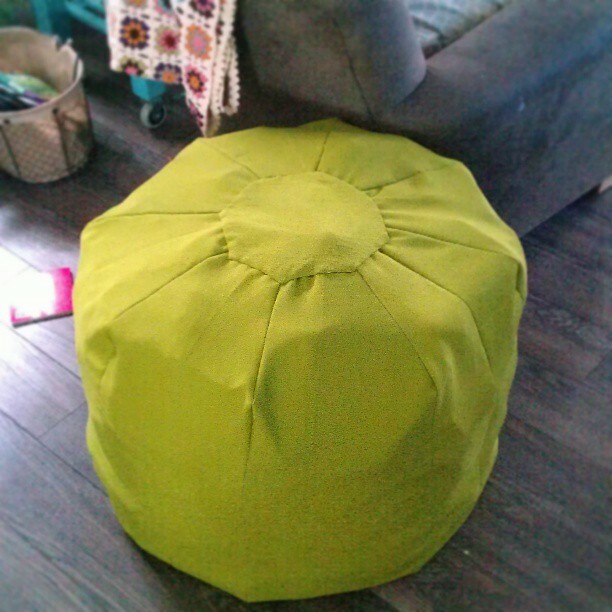 I left out the decorative hand stitching as per the pattern, but I did hand stitch the octagonal piece of fabric to the top of the pouf. 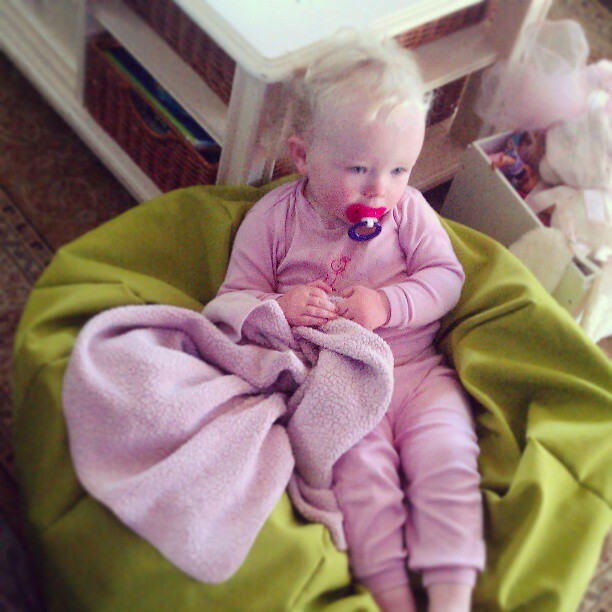 Here’s Baby A testing out the pouf at its half-stuffed state. Both my girls fought over sitting on it as I was making it – I think I’ll need to make them some of their own! Happy Weekend, friends! Ooooooo! I love these! How has it held up?